In the video: How does SICK AppSpace work? Finding a sensor solution that’s both tailored to your requirements and easy to operate – sounds time-consuming and difficult, or even impossible, doesn’t it? Not with the SICK AppSpace eco-system – where the application developer defines the solution themselves. Intelligent software tools, high-performance programmable devices, and a dynamic developer community create a solid foundation for designing customized sensor solutions. 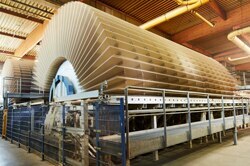 This enables completely new and adaptive solutions for automation applications. 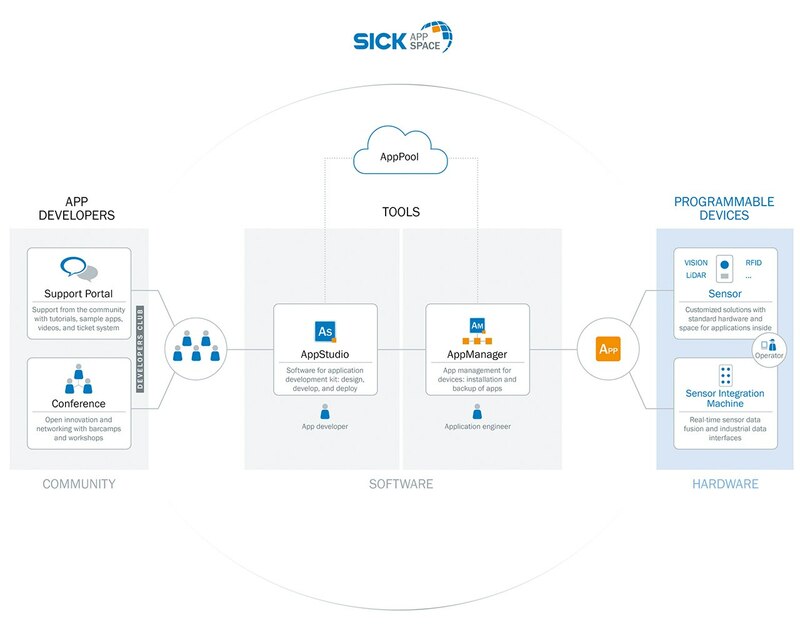 With SICK on board, you can take a significant step toward the future and Industry 4.0. With SICK AppSpace, you can easily develop the configuration yourself. Thanks to SICK AppStudio, you can make use of a broad range of functions. You manage the sensor apps you have developed yourself with the SICK AppManager and transmit them to programmable SICK hardware. So far, programmable SICK devices are available in the Vision, LiDAR, and RFID areas. This portfolio is constantly updated to include devices for other sensor technologies. Thanks to the InspectorP65x programmable camera and SICK AppSpace, manual measurement of raw chipboards is a thing of the past. A valuable community with many advantages – the SICK AppSpace Developers Club. Once a SICK AppStudio license has been purchased, your one-year membership starts automatically and you can enjoy the benefits of club membership. It also authorizes members to participate in the annual SICK AppSpace Developer's Conference. 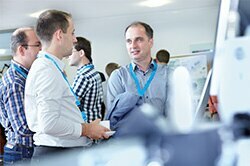 In addition to interesting talks and product demonstrations, you can also actively participate in further development. An extensive information platform, the SICK Support Portal, is available to assist you with your daily work.